Hello winter! I love the changing seasons. Do you live in an area that gets lots of snow? Enough to make snowmen and snow angels–and possibly even snowcats? If you don’t have snow where you live, enjoy the pictures of some creative snowcats that cold-weather cat lovers have made. If you do get snow, here are some pictures for inspiration so you can build your own snowcat! Get working on your snowcat, then please post pictures in the comments or on social media so we can see them. Don’t forget to use the hashtag #snowcat! 1. Am I A Joke To You? 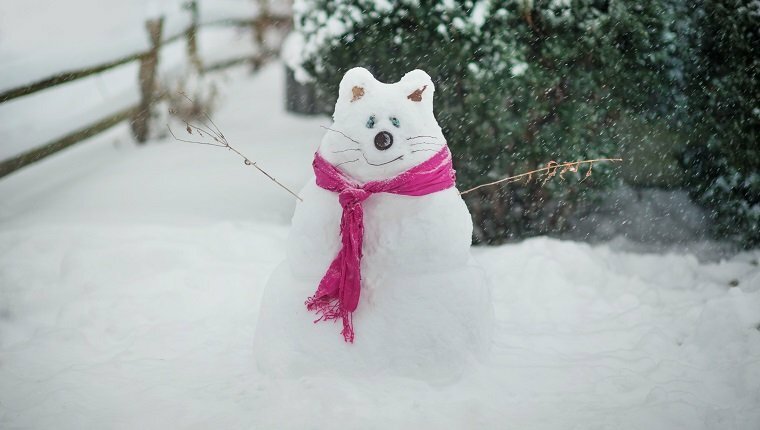 Have these amazing snowcats inspired you to make your own snowy, kitty creation? Don’t forget to show us pictures in the comments below!